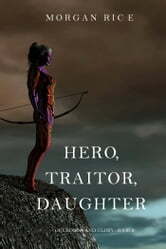 HERO, TRAITOR, DAUGHTER is book #6 in Morgan Rice’s bestselling epic fantasy series OF CROWNS AND GLORY, which begins with SLAVE, WARRIOR, QUEEN (Book #1). 17 year old Ceres, a beautiful, poor girl from the Empire city of Delos, wakes to find herself powerless. Poisoned by the sorcerer’s vial, held captive by Stephania, Ceres life reaches a low point as she is made cruel sport of—and is unable to do anything to stop it. Thanos, after killing his brother Lucious, embarks for Delos, to save Ceres and to save his homeland. But the Felldust fleet has already set sail, and with the might of the world bearing down on it, it may be too late to save everything he holds dear. An epic battle ensues, one that may determine the fate of Delos forever. 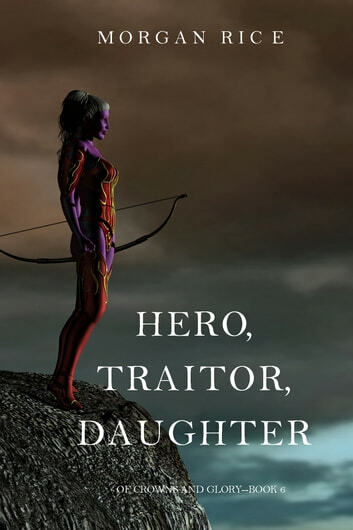 HERO, TRAITOR, DAUGHTER tells an epic tale of tragic love, vengeance, betrayal, ambition, and destiny. Filled with unforgettable characters and heart-pounding action, it transports us into a world we will never forget, and makes us fall in love with fantasy all over again. Book #7 in OF CROWNS AND GLORY is also now available! I love this series and loved this book! A great read!